What Will The Emails / Texts People Receive Look Like? In the editing view for the desired call sheet, go to “publish” step. 3. 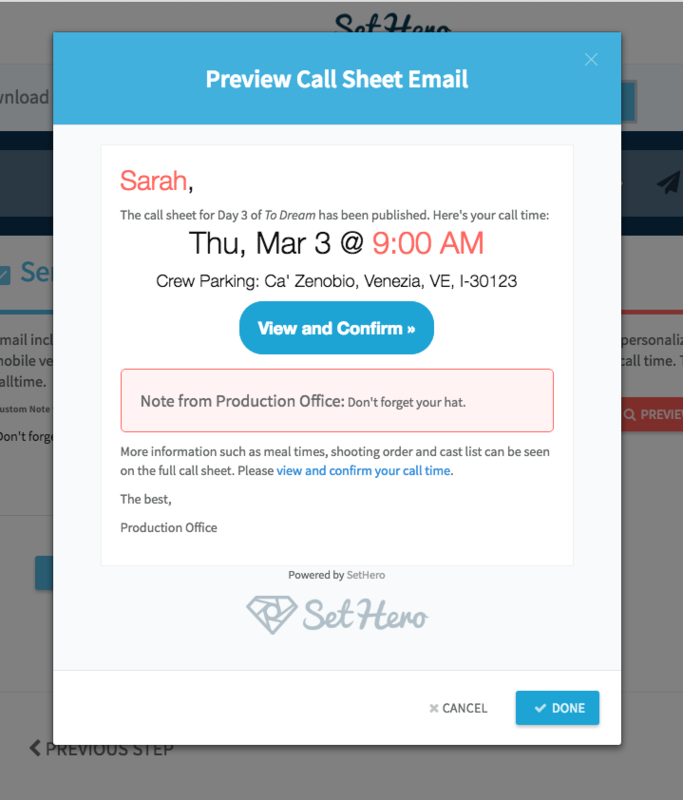 Here you can select whether to send the call sheet as email or sms or both. Once you’ve checked an option, you can then click on the “Preview” button at the bottom of that column. 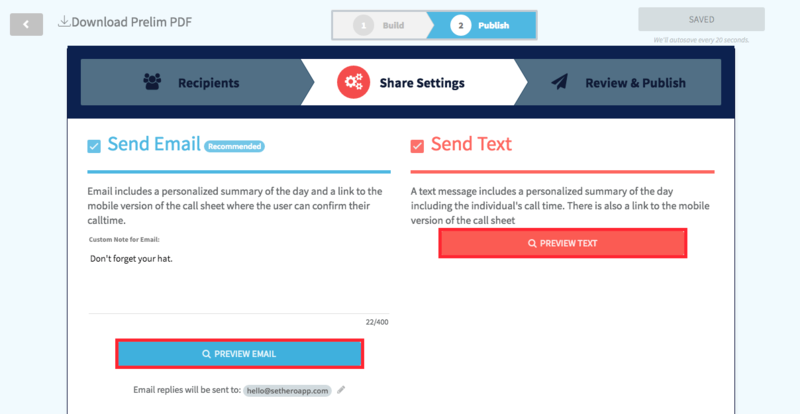 This opens a preview of the email or text message so that you can see what the message will look like before sending. Keep in mind that each message sent will be customized with the recipient's own name and call time details.